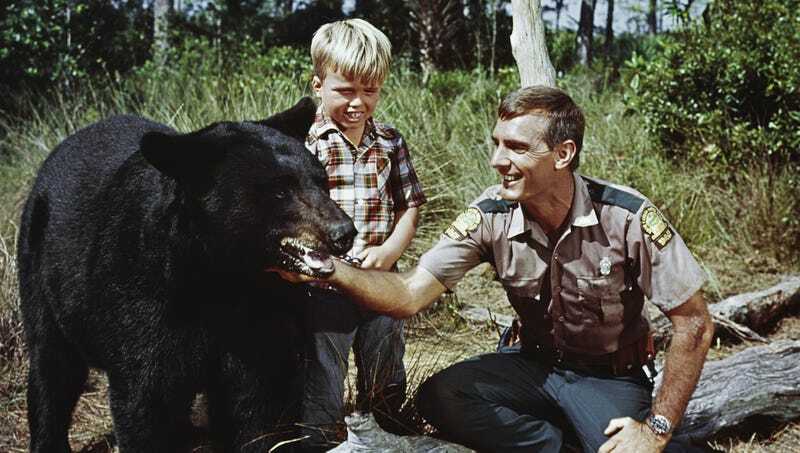 LOS ANGELES—The film community was stunned Tuesday by a new biography’s allegations that at the peak of his acting career, celebrated American black bear Gentle Ben was a ferocious addict who consumed up to 28 pine martens a day. “I spoke to a production assistant whose job was to buy the pine martens and sneak them into Gentle’s trailer,” said Gary Collins, whose book Go, Gentle, Into That Good Night contends the bear “was not always as gentle as his public image would suggest.” “He refused to work until he’d had at least five pine martens, and by the time he stumbled onto the set, he could barely make it through his scenes. When he finally crashed, he sometimes hibernated for a year or more. That cost him a role on Grizzly Adams.” According to the book, it was only with the help of Bear Jesus that Gentle Ben was able to break the chains of his crippling Mustelidae addiction.